How to Love an American Man looks really interesting. Enjoy. They all look great! I hope I get Ten Beach Road next week – I’m going to an event for Wendy in May. I would like to read The Beach Road. Enjoy your books. They all sound good, and I love the cover of Faith. Enjoy your books, Mary! I think all 3 of these look good. Thanks for sharing! Love the beachy cover on TEN BEACH ROAD. Enjoy! I loved the synopsis for How to Love an American Man. Her grandmother’s tale of love must be for her ear only … yet now we have a chance to hear it too. Noting this one down and will be back to read your review. Another successful mailbox and the covers this week are quite fetching. The first one Faith is catchy… the dynamics of depth perspectives… WOW. These are all new books for me and all sounds good. Enjoy! Oooh, those all sound wonderful. *Sigh* my list keeps getting ever longer. Have a great week and happy reading! These all look great, but How to Love an American Man has me totally interested; I’ll be looking forward to your review! Enjoy! These all look fabulous! 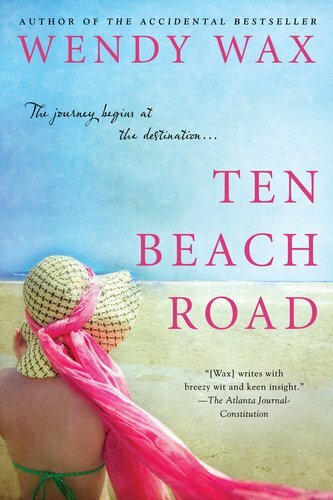 I also received Ten Beach Road, and I’m very excited about it. Interesting books! The Beach Road sounds like the perfect summer read. Enjoy your books. I want Ten Beach Road! Enjoy your books! Ten Beach Road just makes me happy for Spring and Summer reads. Happy Reading! Faith looked good but intense — can’t wait to see what you think of it! I pretty much love anything published by HarperCollins! I love the cover on Ten Beach Road! Ten Beach Road and How To Love an American Man both will make their way to my wish list. I’ll wait to see what you think of Faith before I add that one. Not sure it is the book for me. Enjoy all three books! They all look great. I’ll be reading Faith and Wendy’s new one and I can’t wait. Enjoy! Ooh, I’m almost done with How To Love An American Man and am enjoying it so, so much . . . it’s actually been one of my favorite reads so far this year! I relate to Krissy so much and have found the book absolutely delightful. Hope you enjoy it, too! I want all those books. Seriously, they’re all on my wish list. Have fun reading. I can’t wait to see what you think. Happy Reading. I’ve been seeing Ten Beach Road around (love that cover) but this is the first time I’ve read a description. Intriguing! All of them sound interesting. I got Faith last week too and cannot wait to read it! I’m also really eager to hear what you think of How to Love an American Man. It sounds like a wonderful summer read! How to Love An American man sounds wonderful. 🙂 Happy reading. Enjoy your books Here’s my Mailbox Monday post Worth Reading It? These all sound very good. Looking forward to your reviews! Ooo, I read The Accidental Bestseller by Wendy Wax last year and really enjoyed it. Hope you like this one! 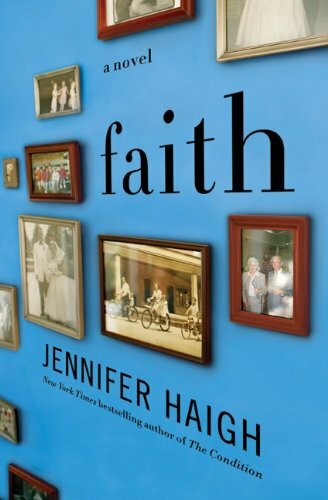 I loved The Condition, Haigh’s previous book, so I really want to read Faith too. Enjoy all your books! I have seen Ten Beach Road a lot today, so will be on the lookout for reviews of this book to see if it goes on my ever growing list. Have a great reading week!!! I have Faith too…the other two look fantastic!! Both sound very interesting. Enjoy! I will be looking for your reviews. I’ll be interested to see what you think of Faith! Happy reading! TEN BEACH ROAD looks definitely good on the WWBL. Thanks for the cranium’s up on this one. The Beach Road looks good..I love books by Wendy Wax! Three nice review books… I’d like to read all of them. Great books! I’ve seen Wendy’s around quite a few places and think it sounds fabulous!! Enjoy your new reads! I am looking forward to reading Faith too!